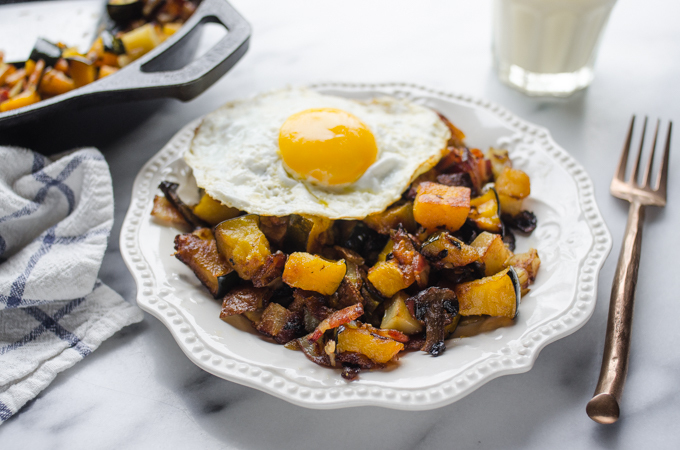 This Roasted Squash and Bacon Hash is a delicious and nutritious way to start your day! One of my favorite things to make for breakfast during the colder months is roasted veggies. I usually prefer a hearty breakfast when I wake up to a chilly house. And it makes me feel good to start my day off with a big serving of vegetables. 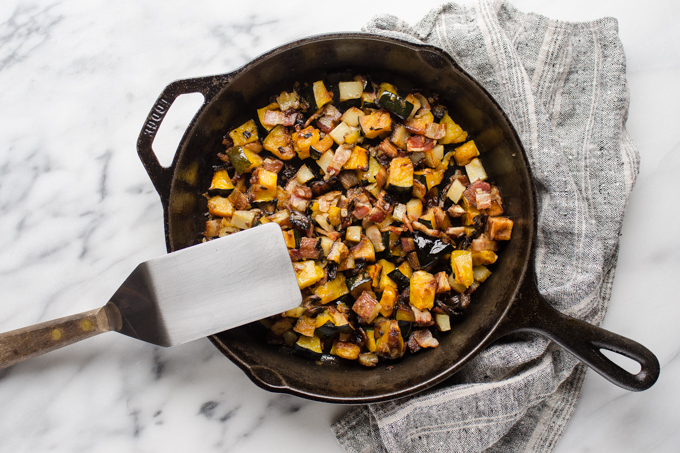 This Roasted Squash and Bacon Hash only requires a few simple ingredients to make, but it still packs in some delicious flavor. 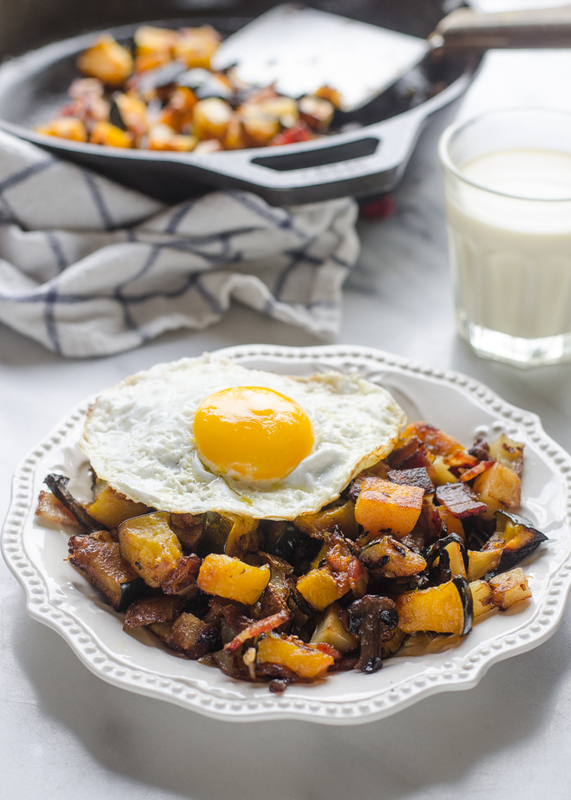 The cool thing about using acorn squash in this hash is that you don’t have to peel it! 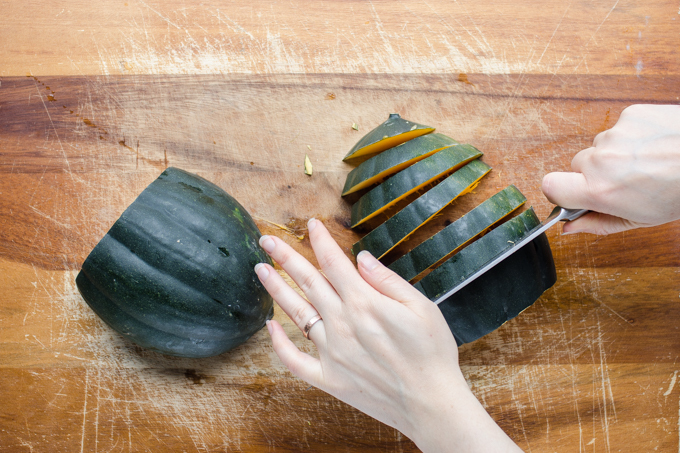 I don’t know about you, but peeling squash is one of my least favorite kitchen jobs. It’s just frustrating to me! I also figured out a method for roasting everything on the same pan. Hooray for less dishes! You can either eat this hash straight from the baking sheet, or you can crisp it up further in a cast iron skillet (<<my favorite way of eating it). Don’t forget to serve with a fried egg! 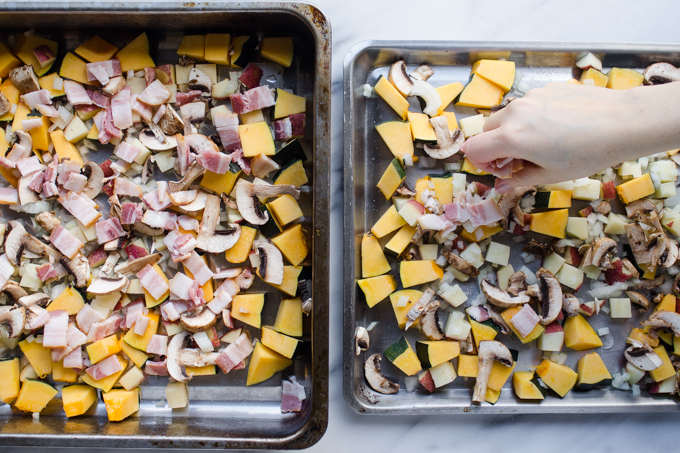 You can get the full tutorial and recipe for this Roasted Squash and Bacon Hash over on The Pioneer Woman’s Blog HERE. …and here’s a view of the construction so far from above! 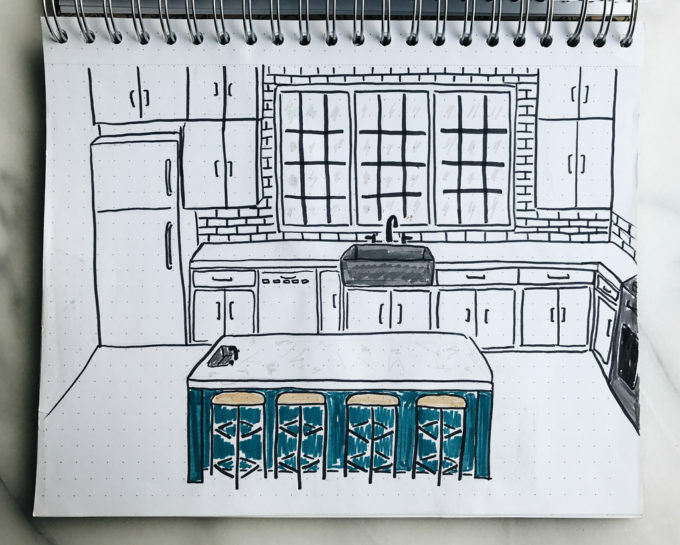 And this is my attempt at sketching what my kitchen *might* look like. I’m 100% sure I want a subway tile backsplash, but most other things I’m not so certain on yet. I’m thinking a contrasting island, white cabinets (or maybe navy lowers and white uppers), and I can’t decide on the counters! 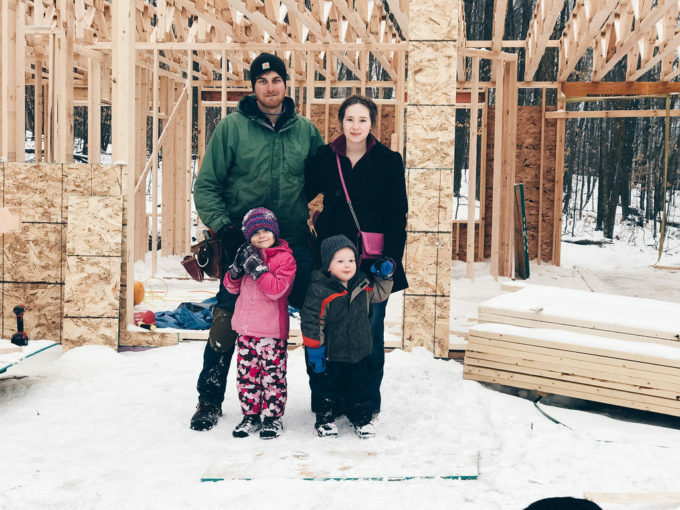 If you’re interested in the our house-building journey, you can follow me over on my personal blog, Simple Days. I’ll be doing a more in-depth house update over there soon! 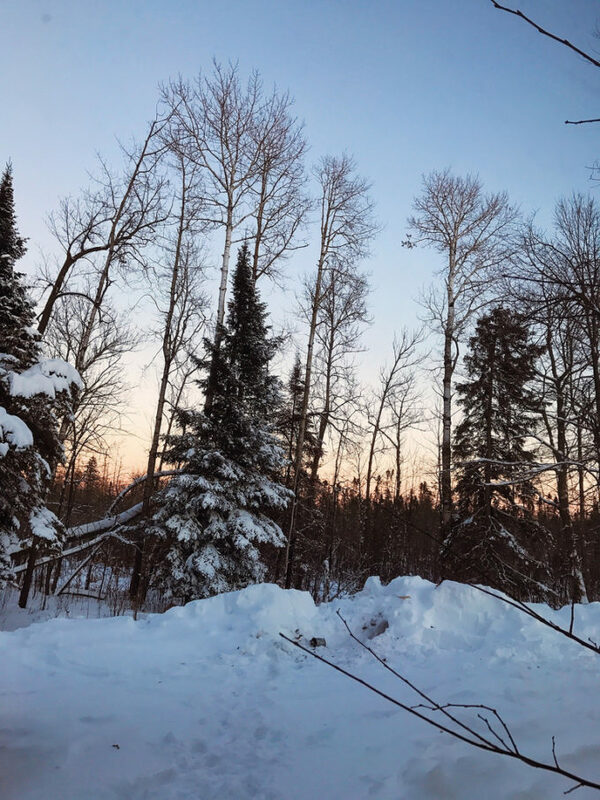 I’m 34 weeks pregnant this week….and still hanging in there. Some days I feel great and can get lots done, and others it’s all I can do to take care of the kids and cook a food. See those totes stacked on my dresser? They’re all for the newborn/postpartum phase. I need to get into gear and get things prepared for this little one! 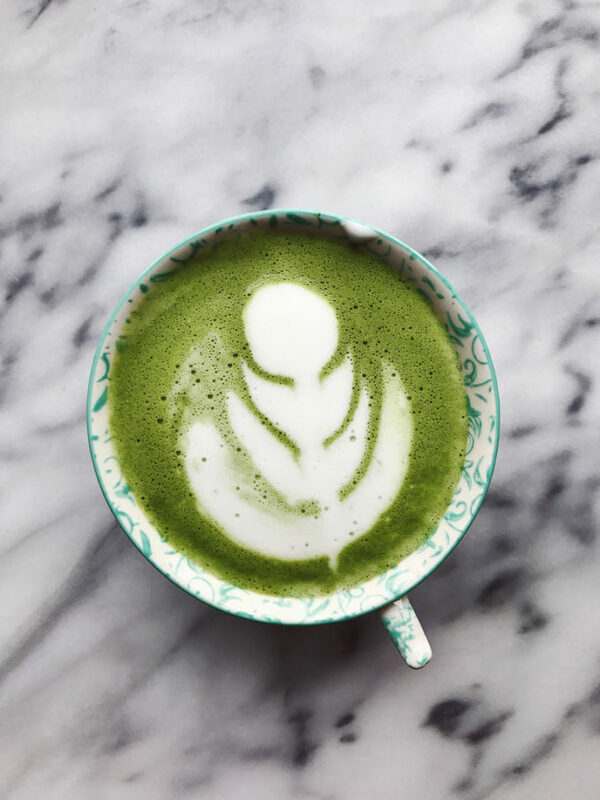 Drinking: I’ve still been loving my Sugar Free Matcha Lattes, and a sugar free hot cocoa is also pretty bomb. Eating: This Bruschetta olive mix (affiliate link) from Thrive Market in an omelette with parmesan cheese is delicious! It’s been on repeat here lately. 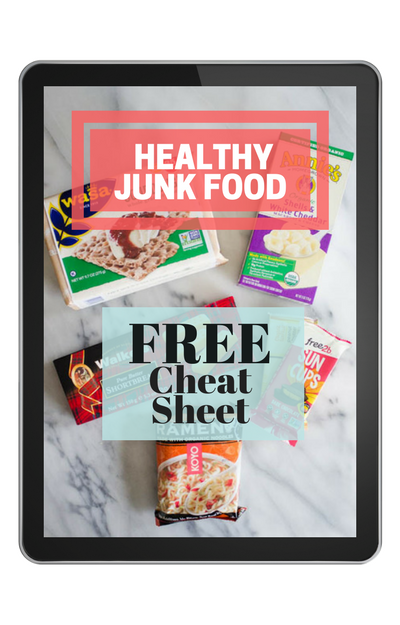 Reading: I’ve been loving reading Shanna Mallon’s blog Go Eat Your Bread With Joy. 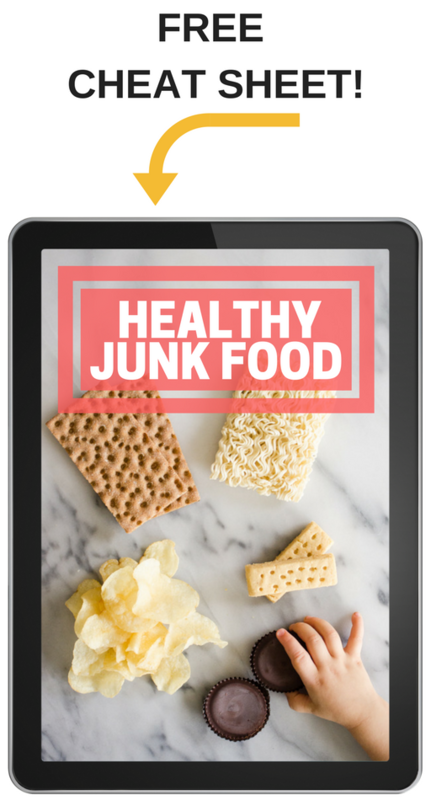 She shares similar interests with me (healthy living, sourdough bread, matcha…), and I enjoy reading the articles she writes about the how and why of healthy foods. Listening: This Episode of The Broken Brain Podcast about postpartum recovery was very informative and encouraging. Even if you aren’t going to go through the postpartum experience yourself, if someone you’re close to has, is, or will, it’s worth a listen! 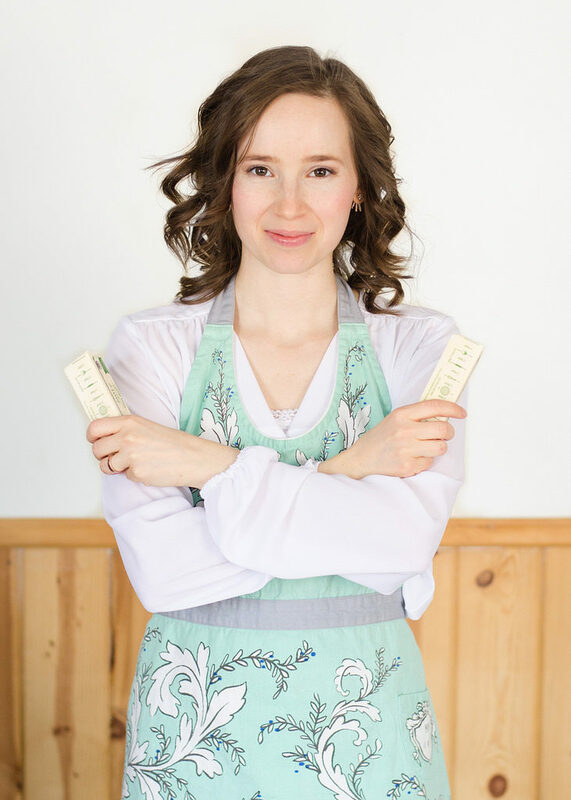 Another great podcast episode that I listened to lately was an interview with Melissa of The Faux Martha over on the Food Blogger Pro podcast called The Year of the Pivot. There’s a lot of wisdom in it, even if you aren’t an online entrepreneur. It’s an honor to be included here. Thank you! 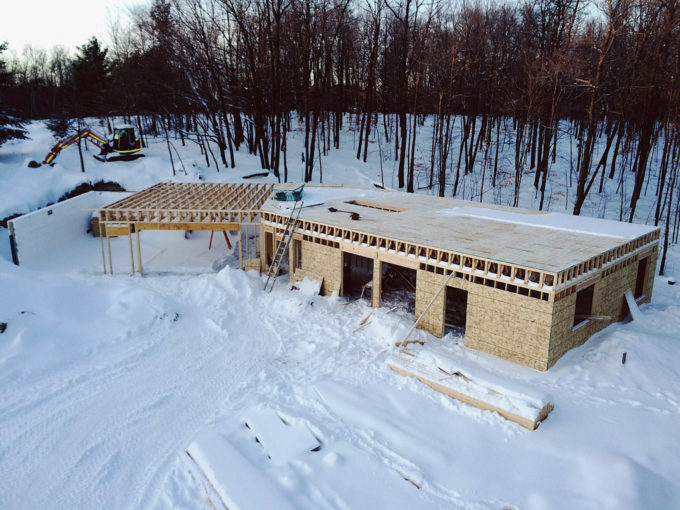 PS your house construction looks so cool — excited to see how it develops (as obviously you are, lol, I’ve lived through the waiting and I know it’s not all roses). : ) You are an inspiration. 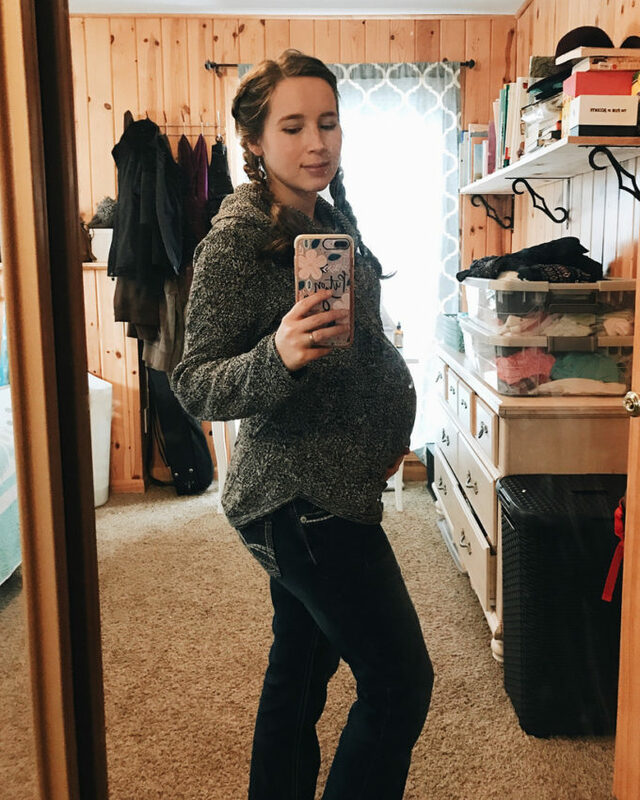 You are looking great at 34 weeks!! Almost there! I had my cabinets painted white and I regret it. Dirty little fingerprints everywhere. Aw, thank you, Karen! Yes, almost there! Thanks for the tip about the cabinets – I guess that would be a good reason to go dark on the bottom?